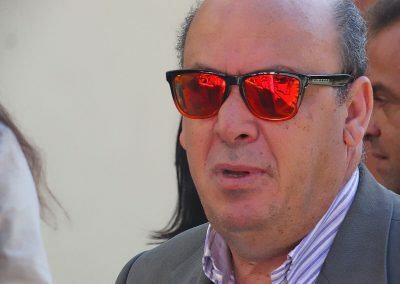 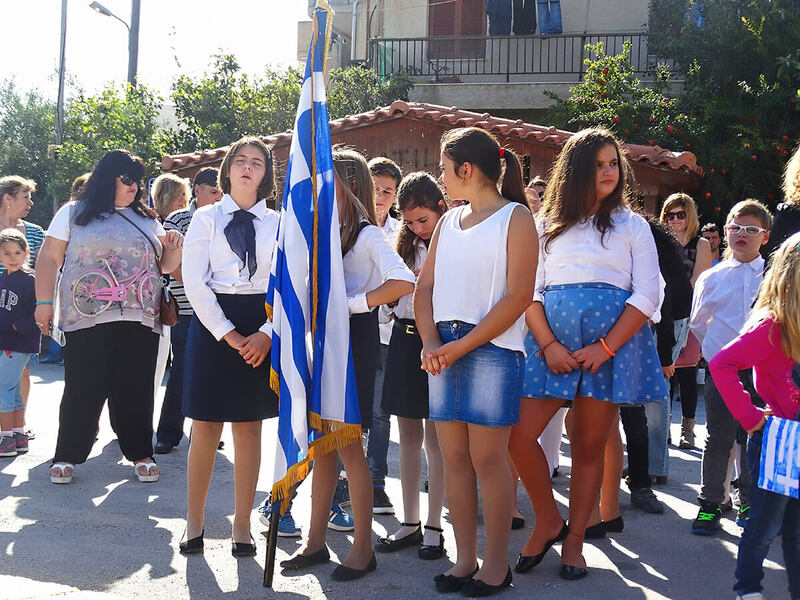 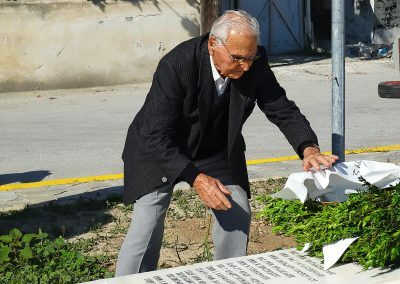 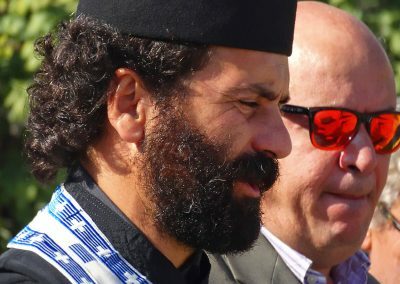 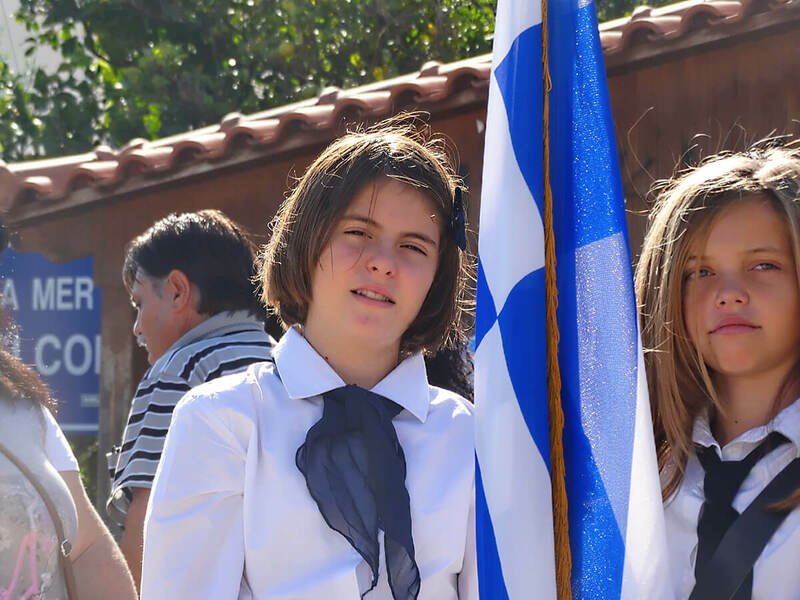 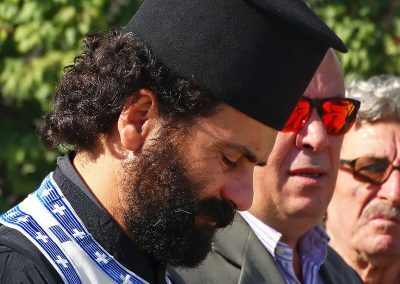 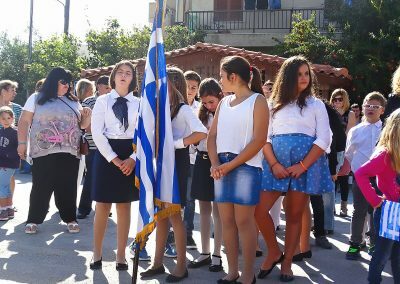 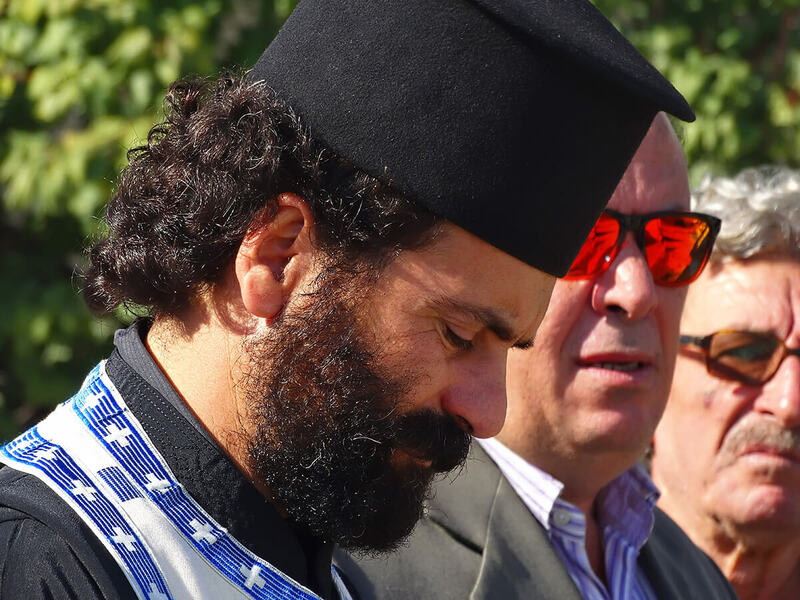 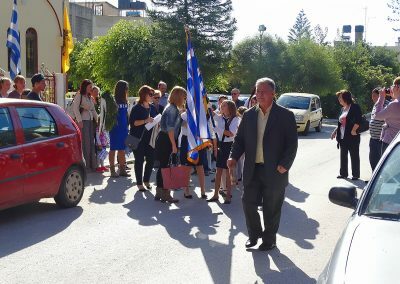 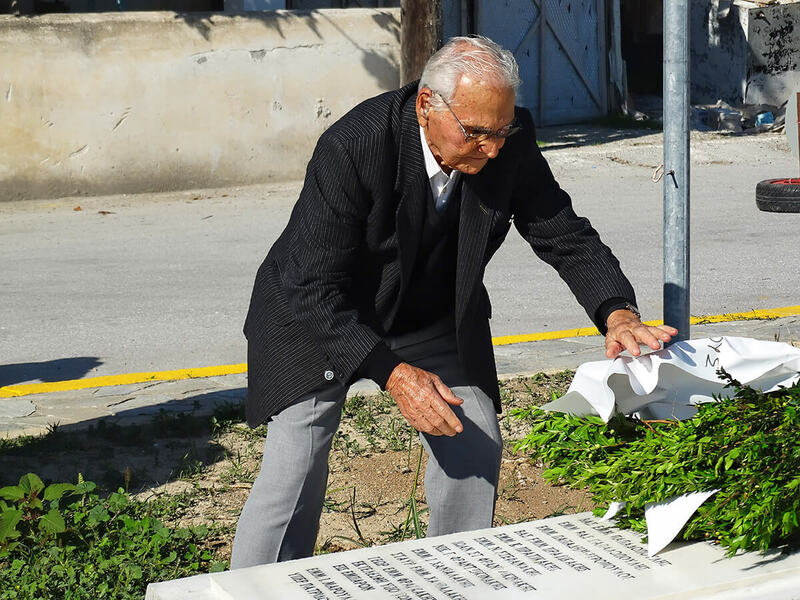 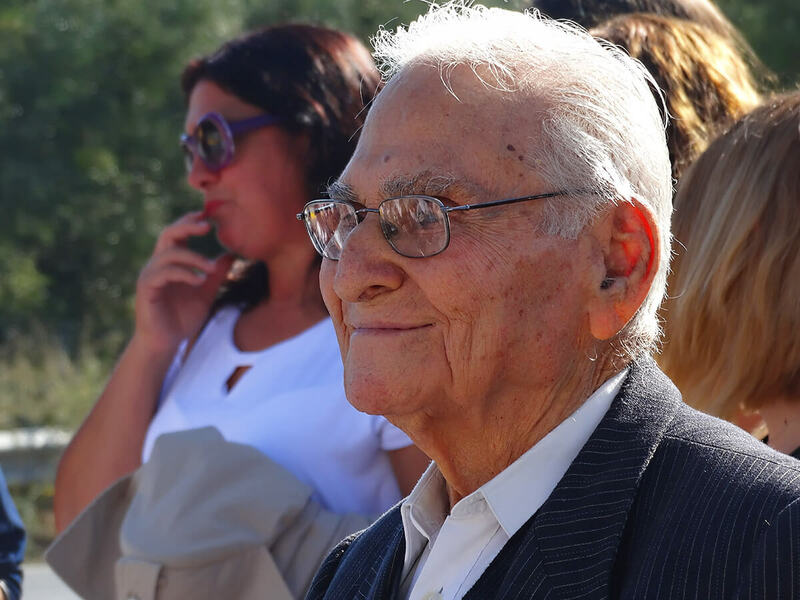 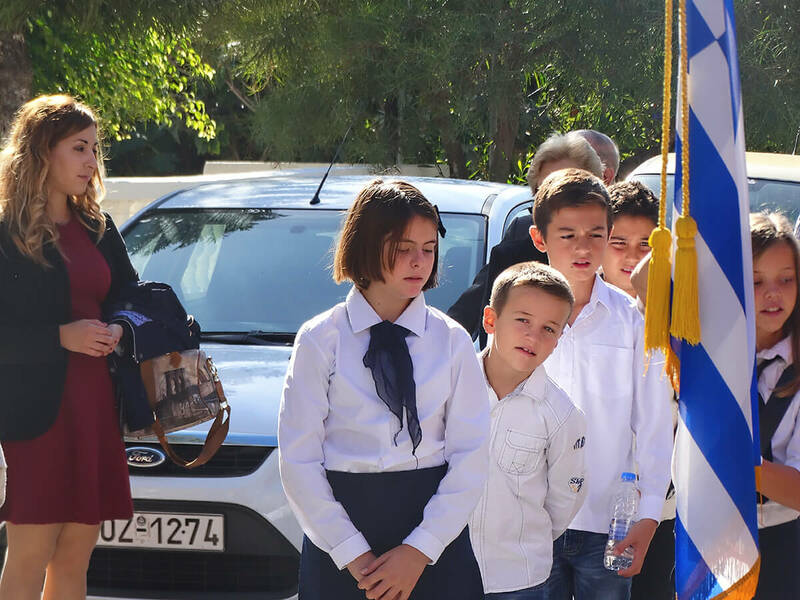 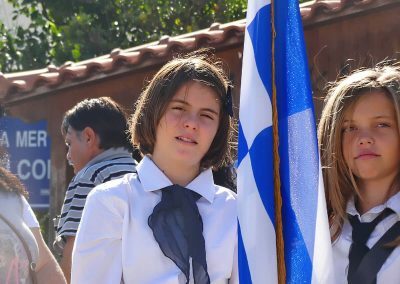 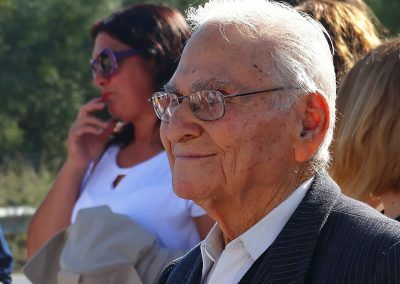 Today, the rejection by Greek dictator Ioannis Metaxas of the ultimatum made by Italian dictator Benito Mussolini is commemorated throughout Greece, Cyprus and the Greek communities in the diaspora. 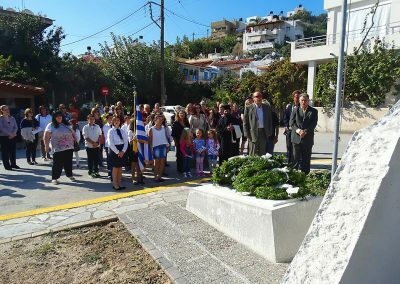 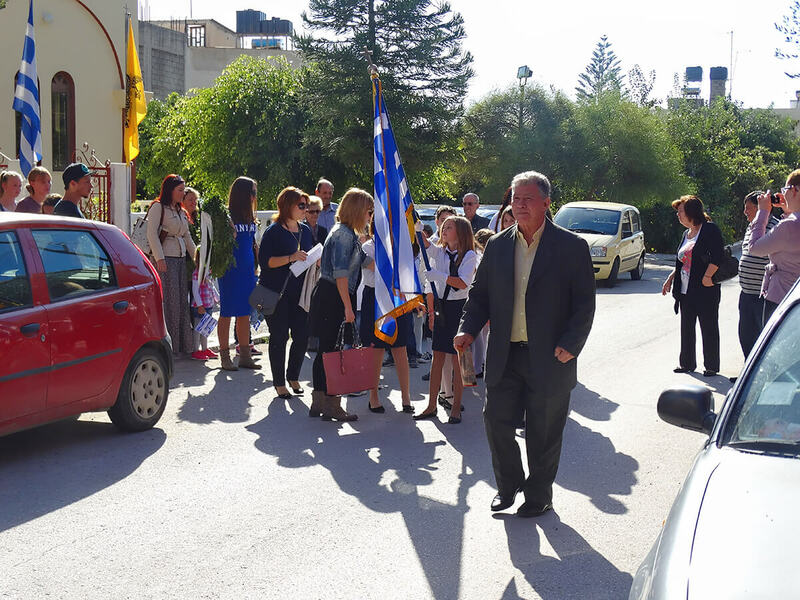 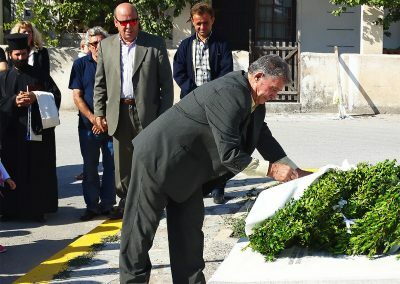 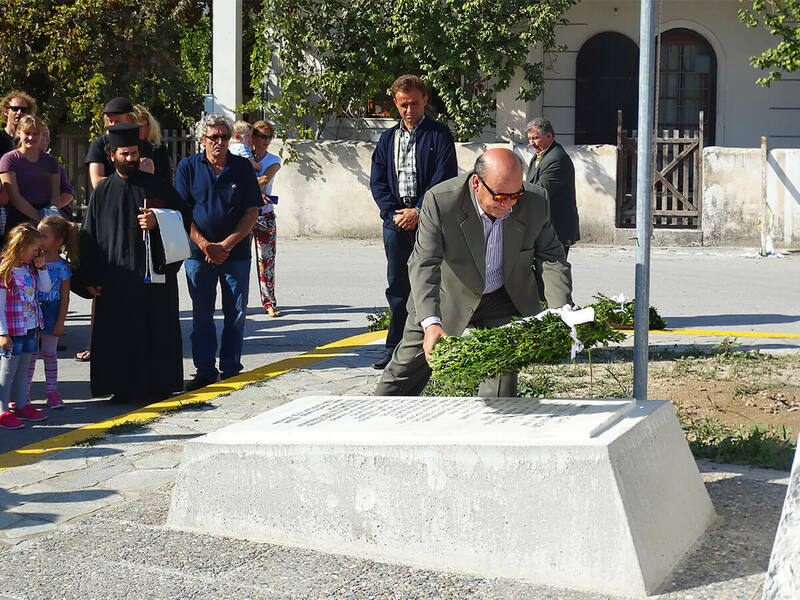 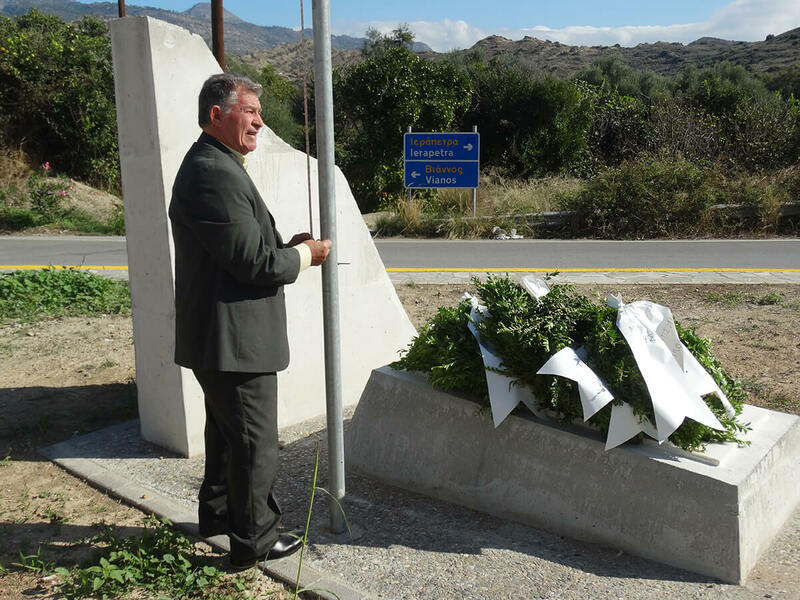 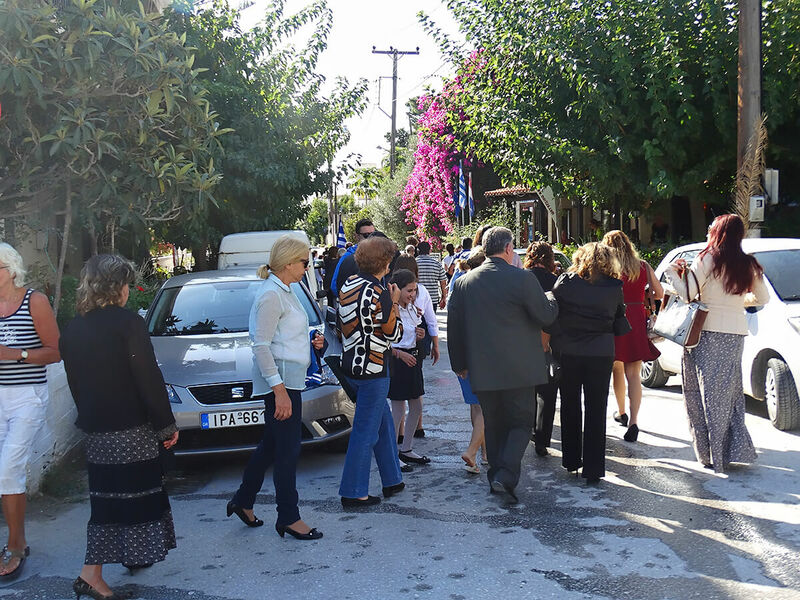 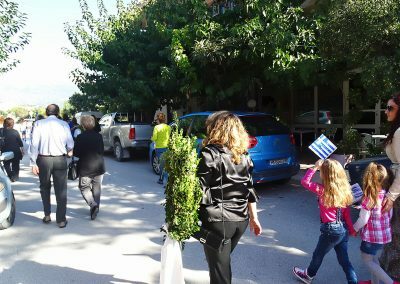 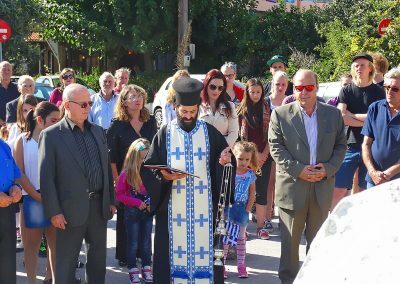 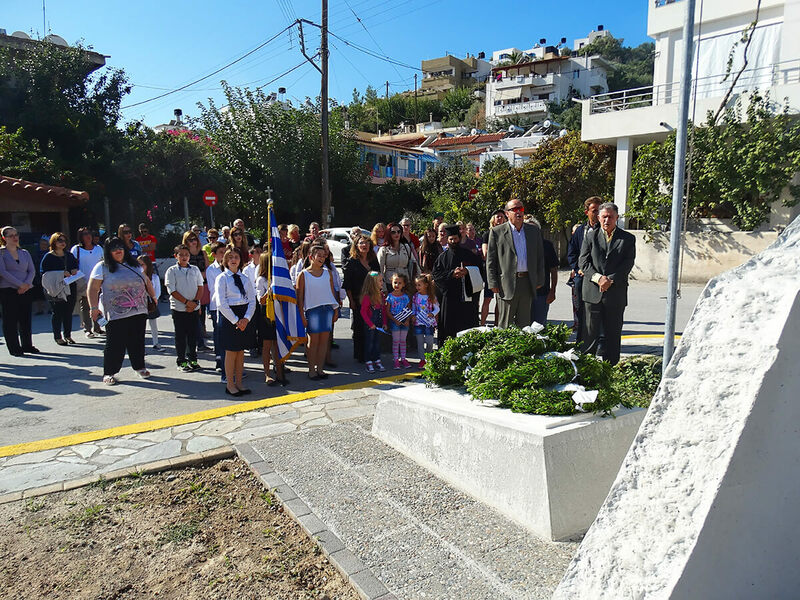 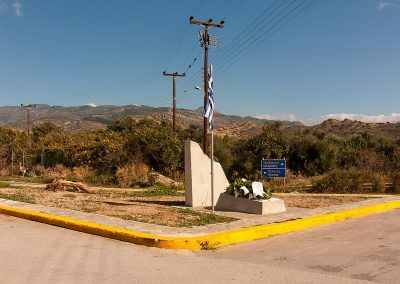 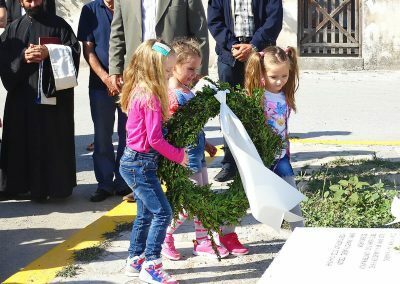 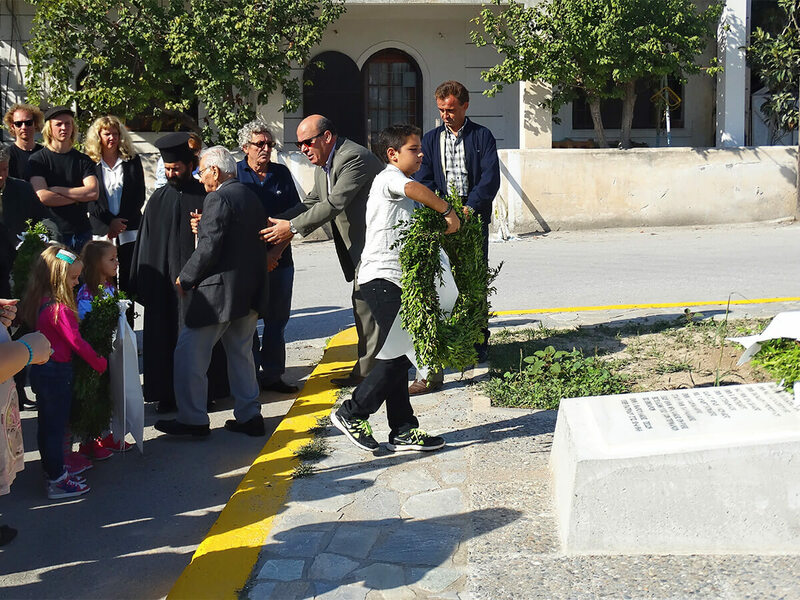 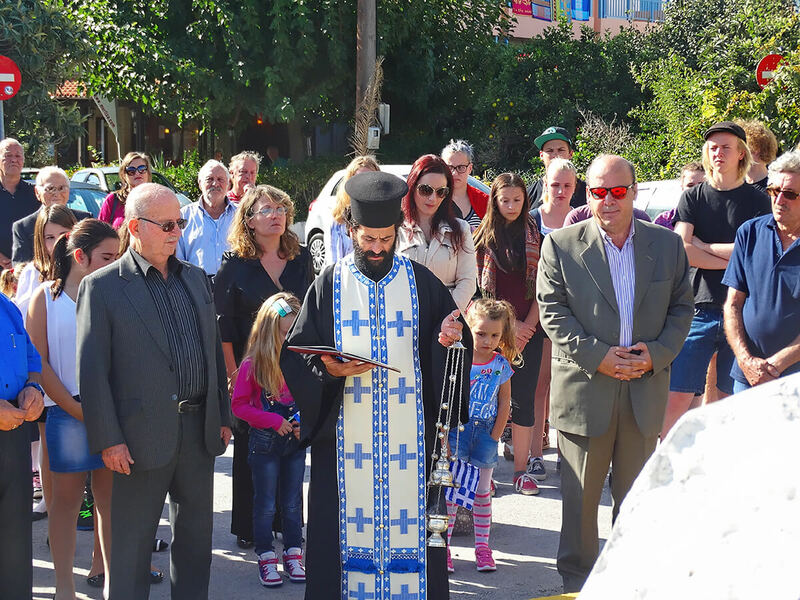 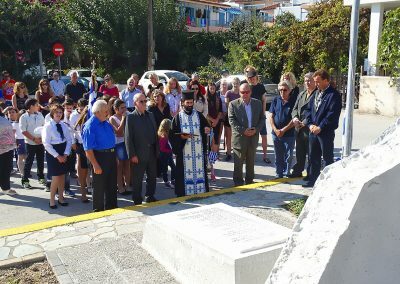 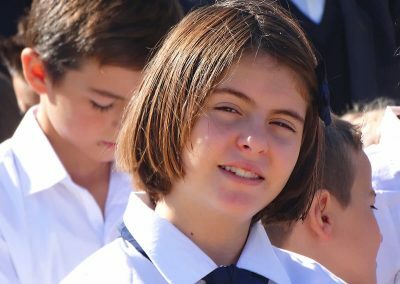 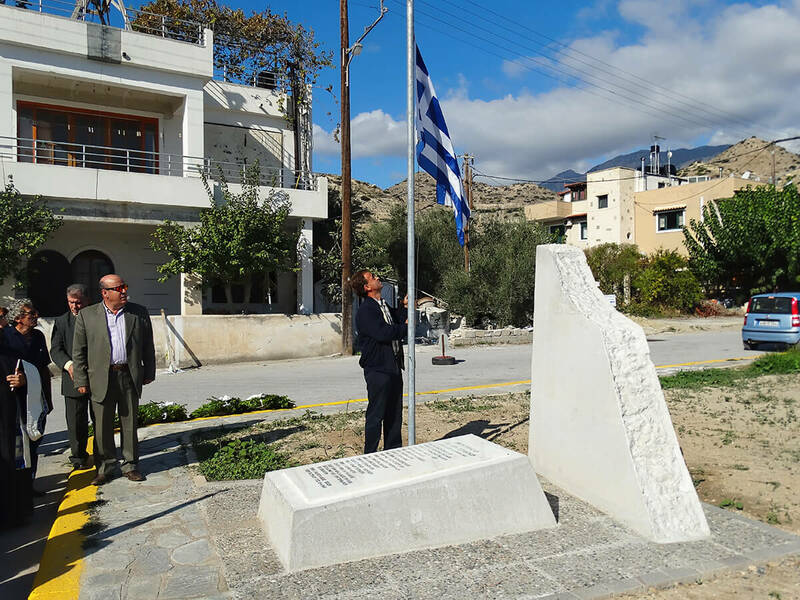 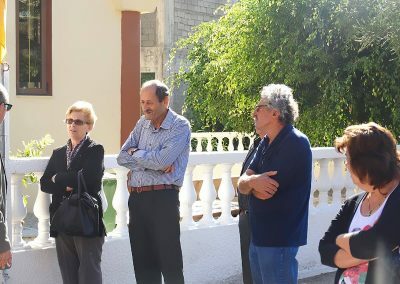 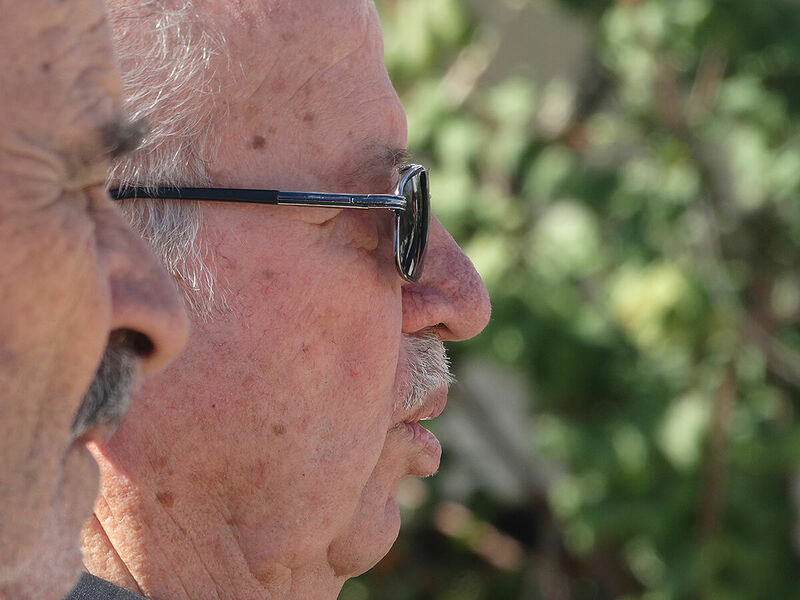 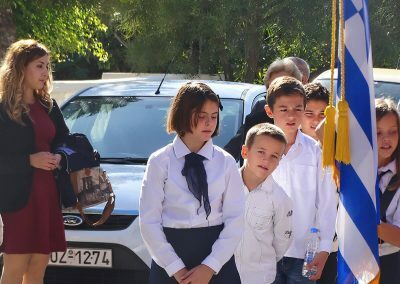 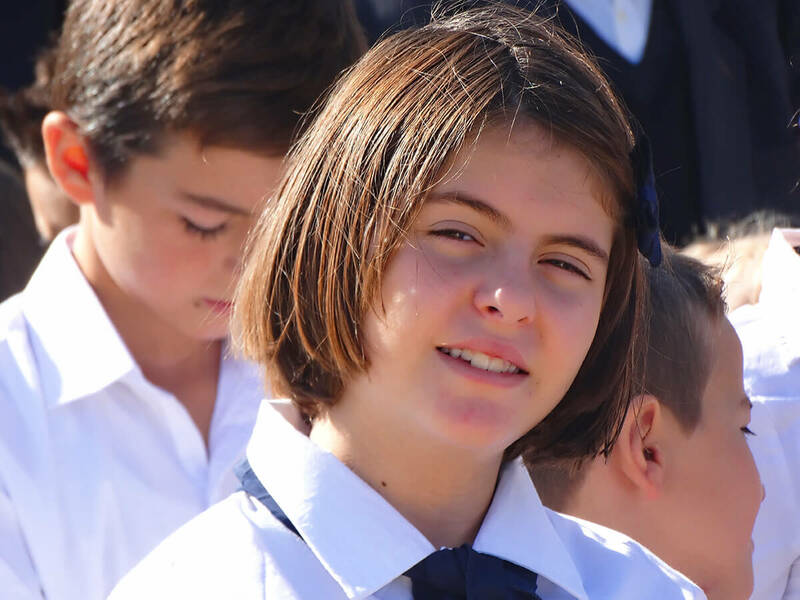 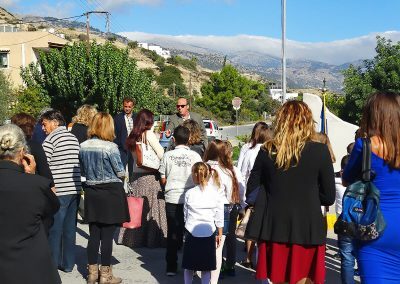 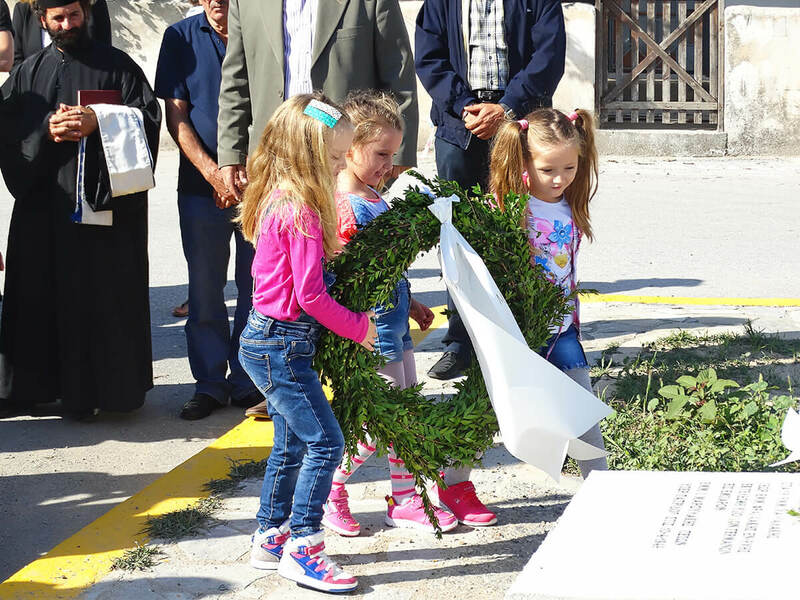 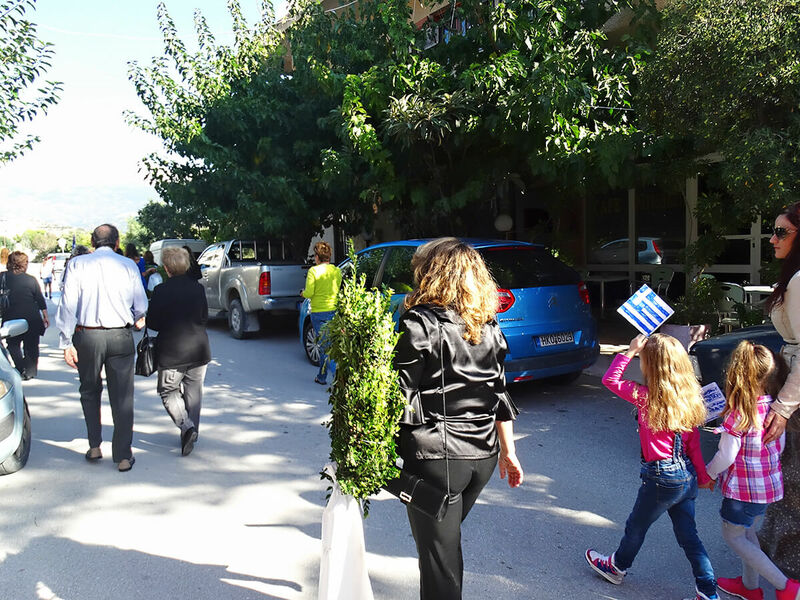 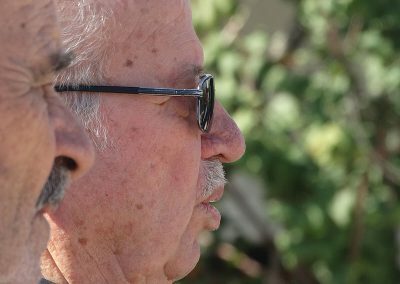 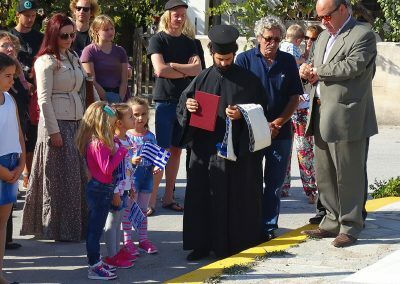 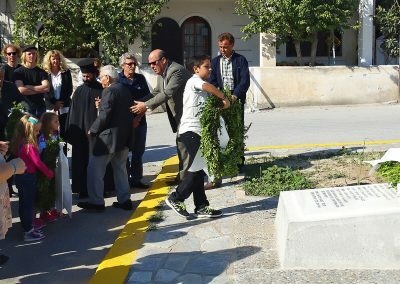 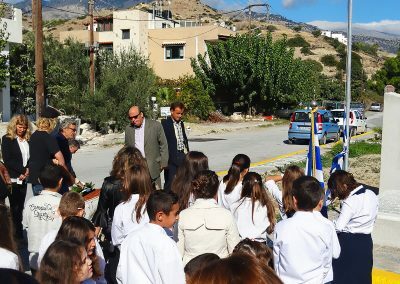 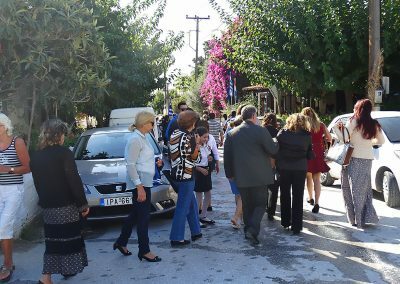 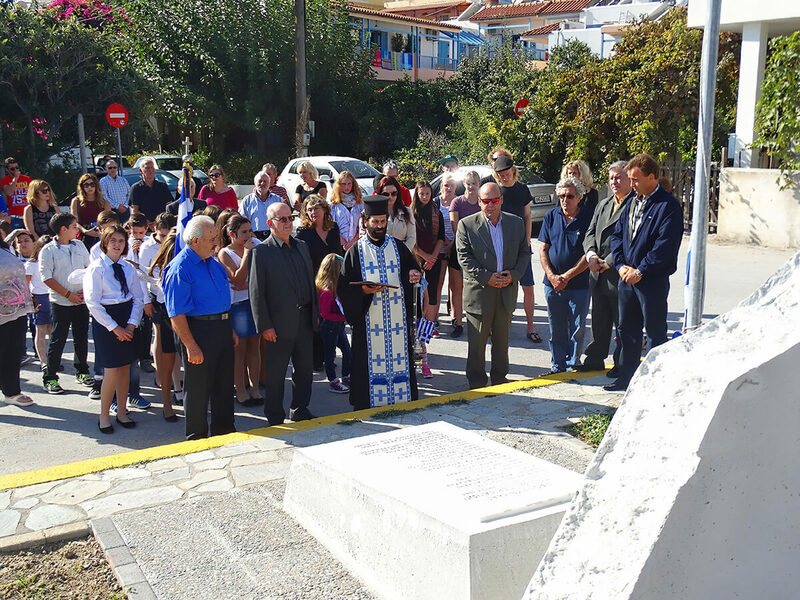 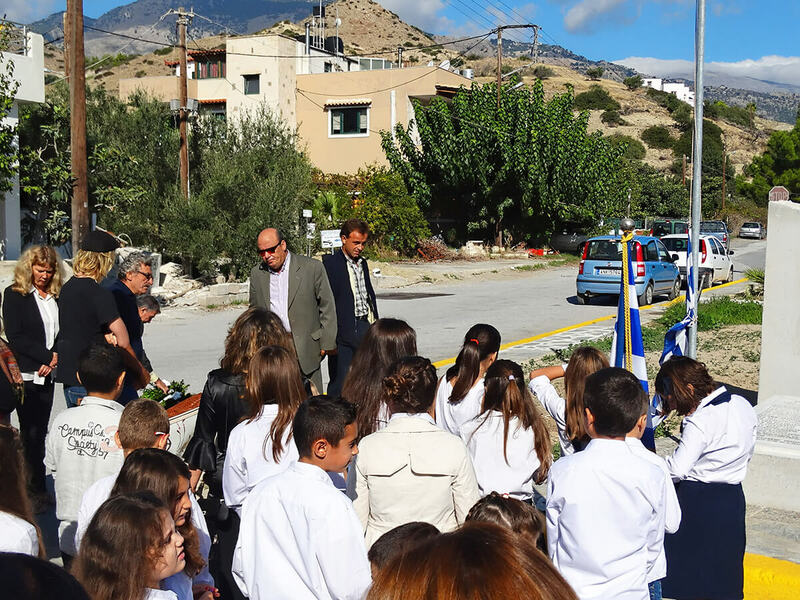 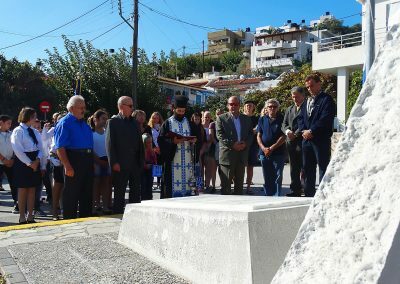 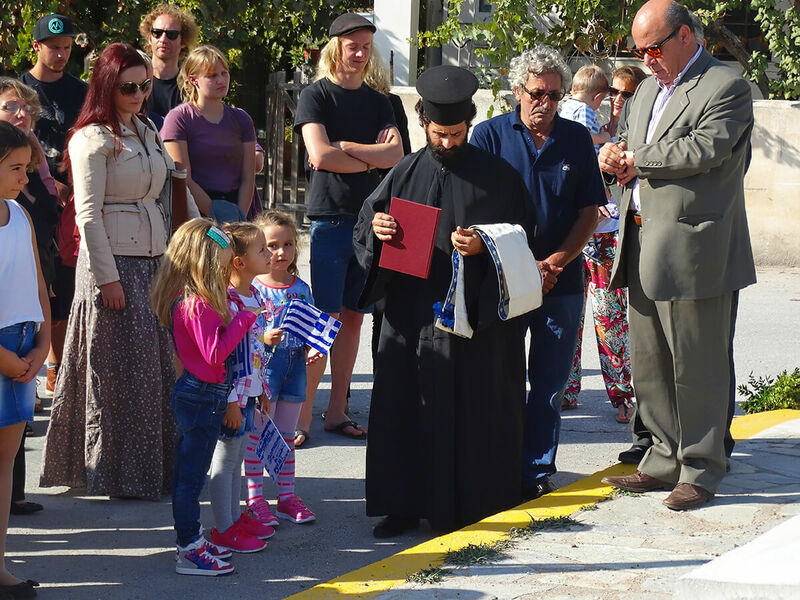 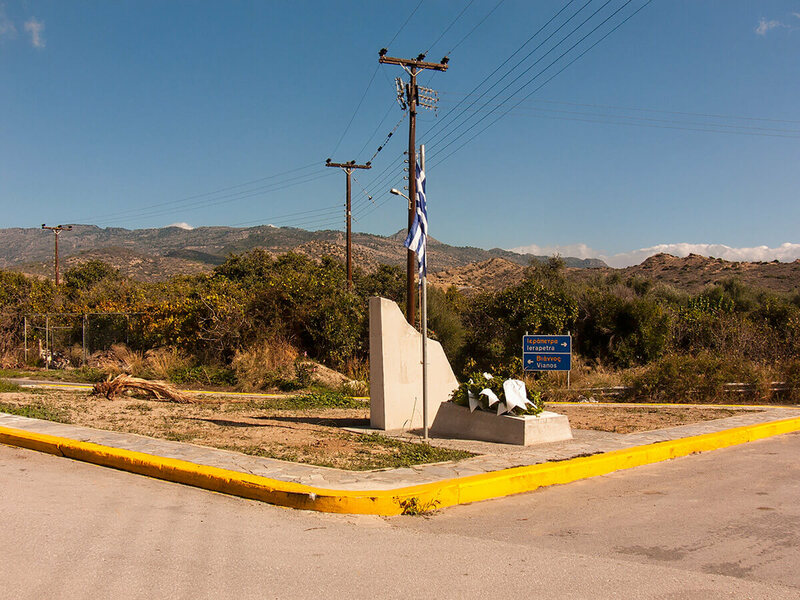 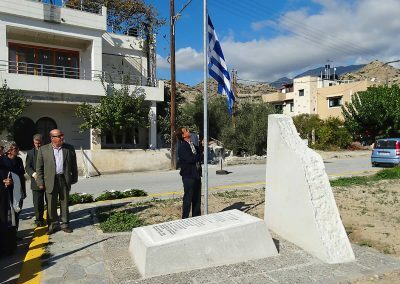 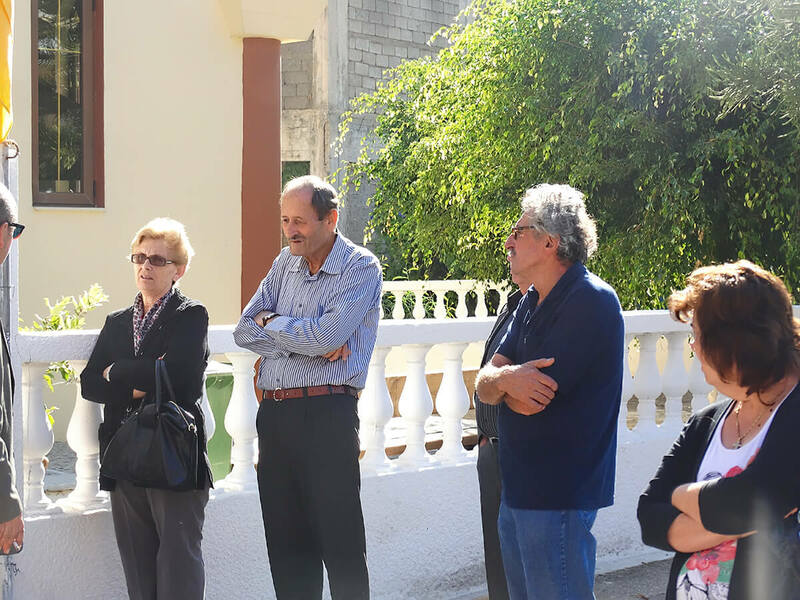 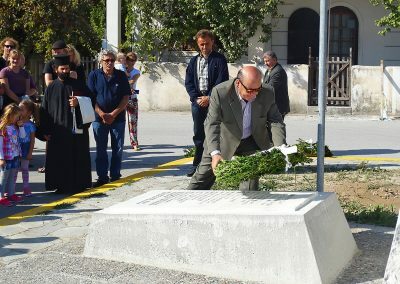 In Mirtos, there was a mass in the church and a ceremony with the laying of wreaths on the memorial monument of the second world war. 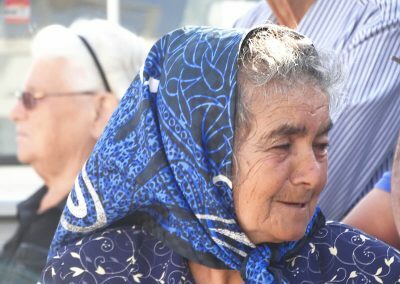 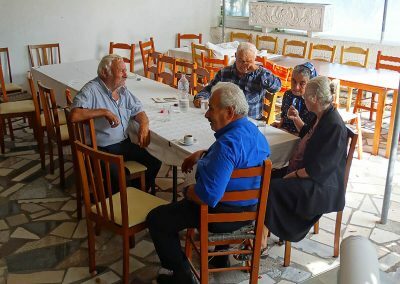 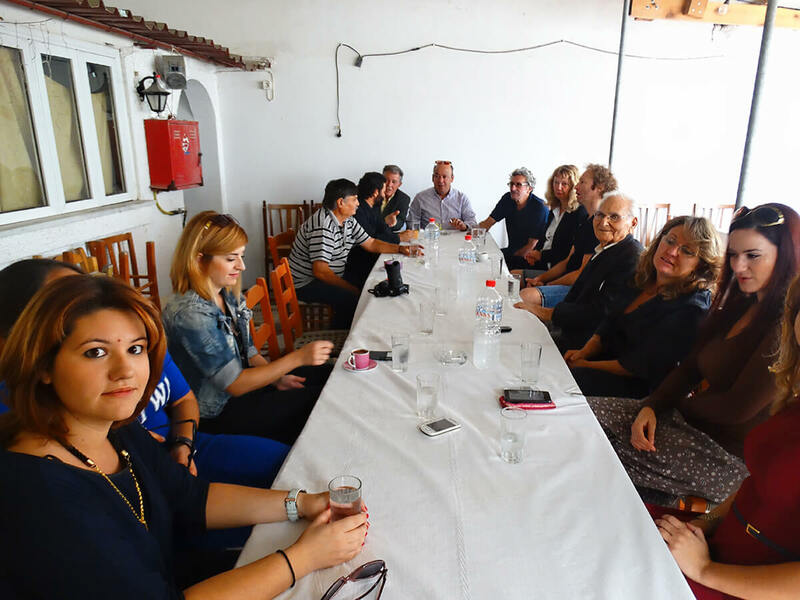 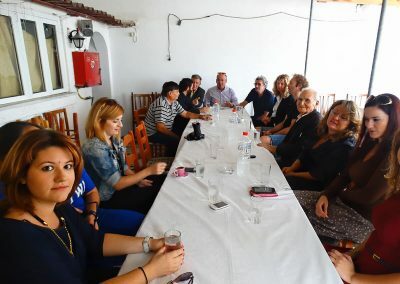 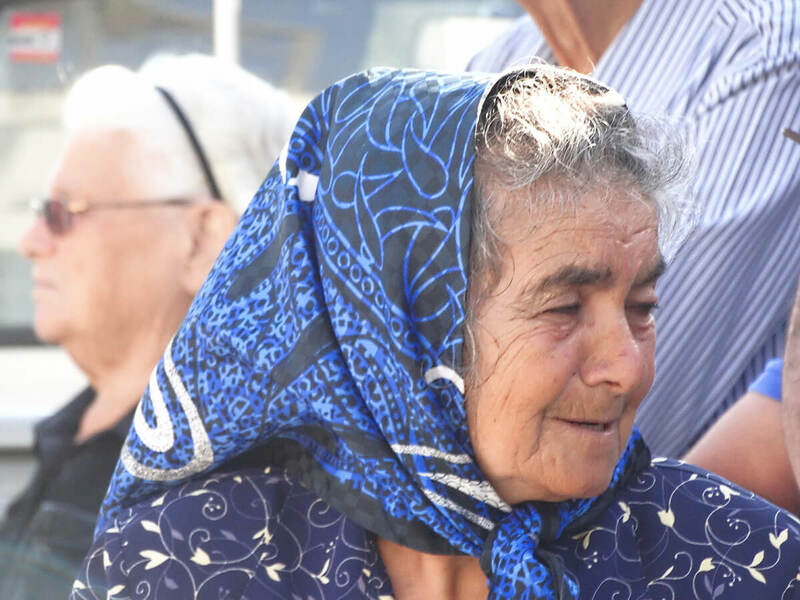 Coffee and – for the brave hearted – raki was served at Despina’s place afterwards. 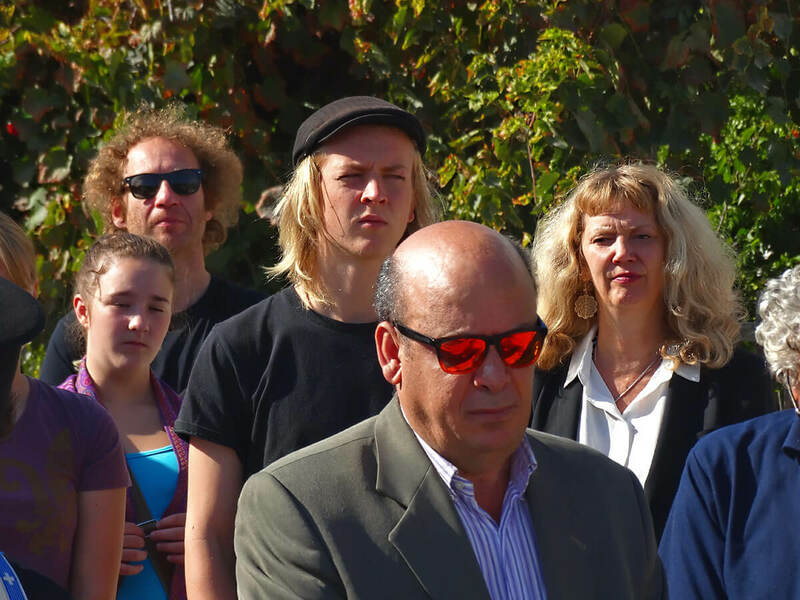 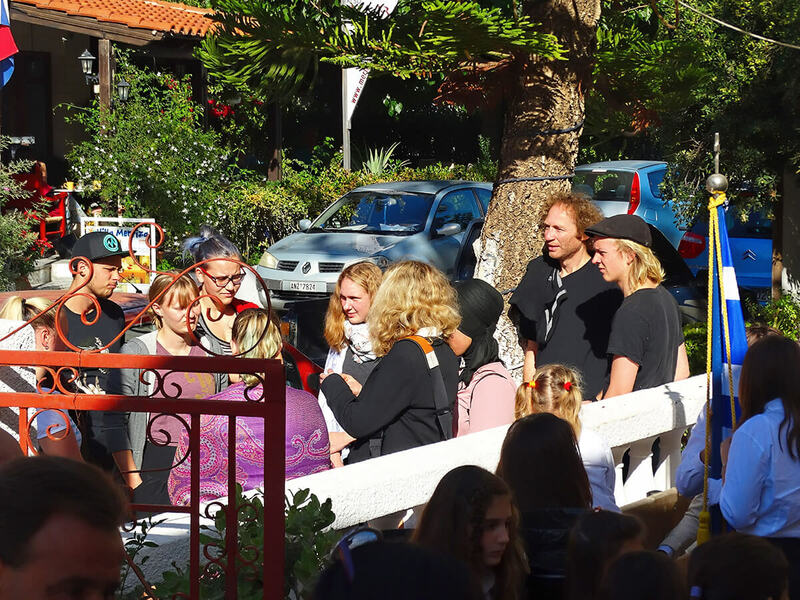 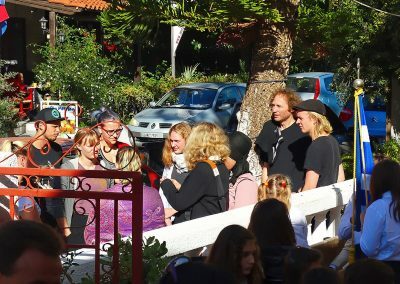 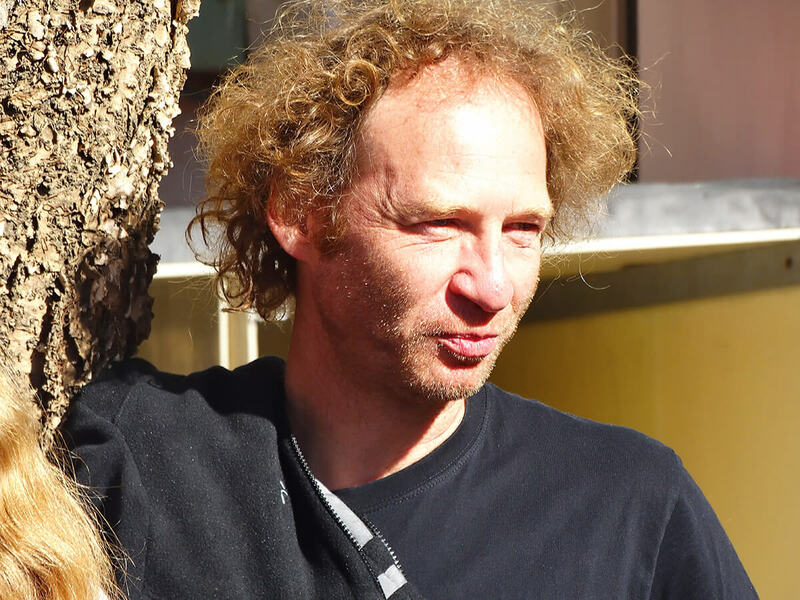 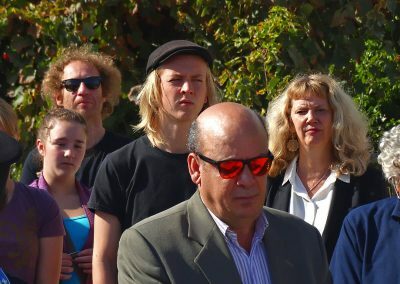 We like to thank Joachim Recht, Britta Niehaus and their group of children of the Cabuwazi Circus from Berlin for their presence and their sincere interest.